A survey showed it can take 60% of those returning from maternity leave up to 4 months to regain their confidence when returning to work. With an increasing awareness of talent retention and employee engagement, many companies are offering coaching to employees returning to work. The results are positive. 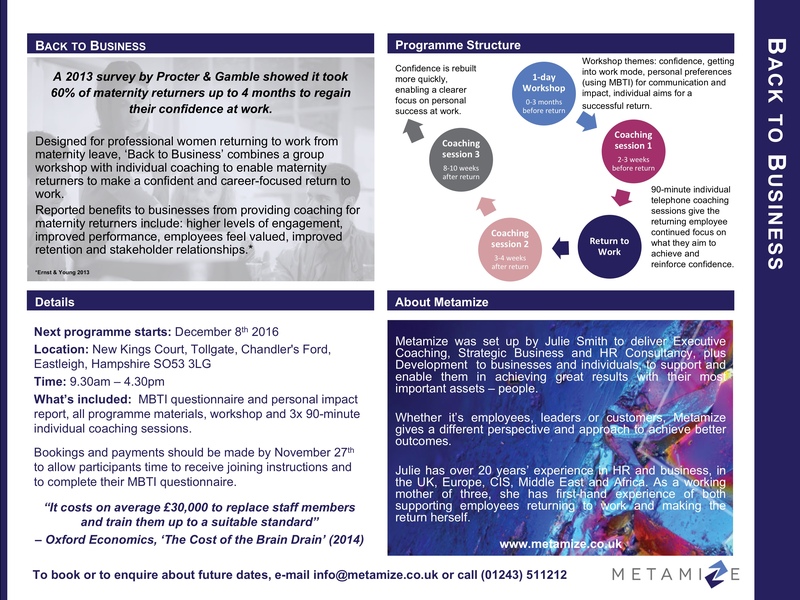 What are you doing to support your maternity returners? Details of our next programme are below, which is near Southampton. The London programme starts in January, other locations to follow. Places are limited, so book now! Too small for your screen? Download here.